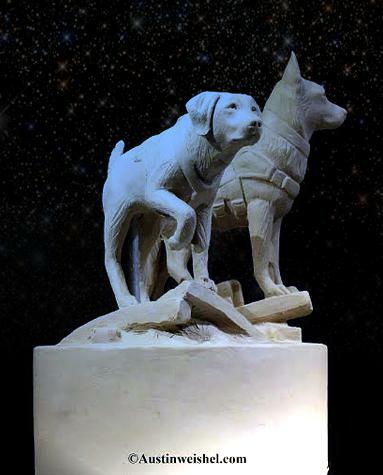 The focal point of the memorial will be 2 larger than life size Bronze Sculptures of a German Shepherd and Labrador Retriever which are the two breeds most commonly used throughout history. 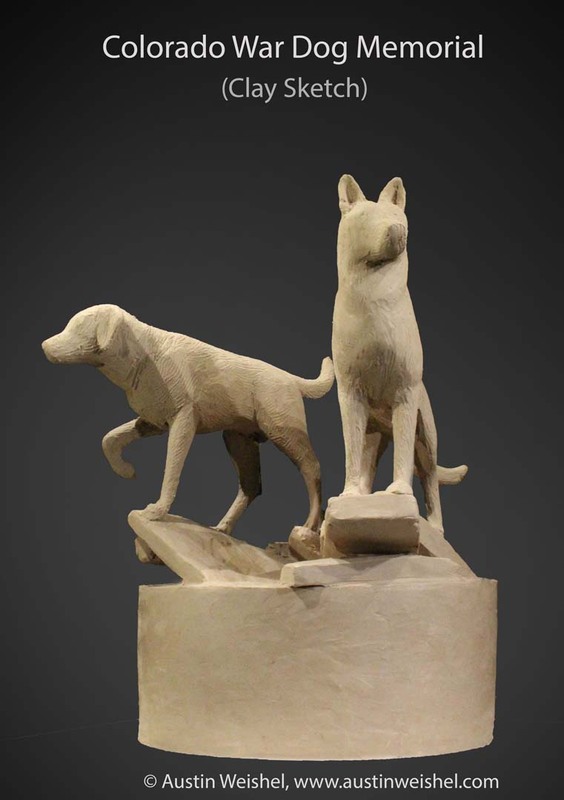 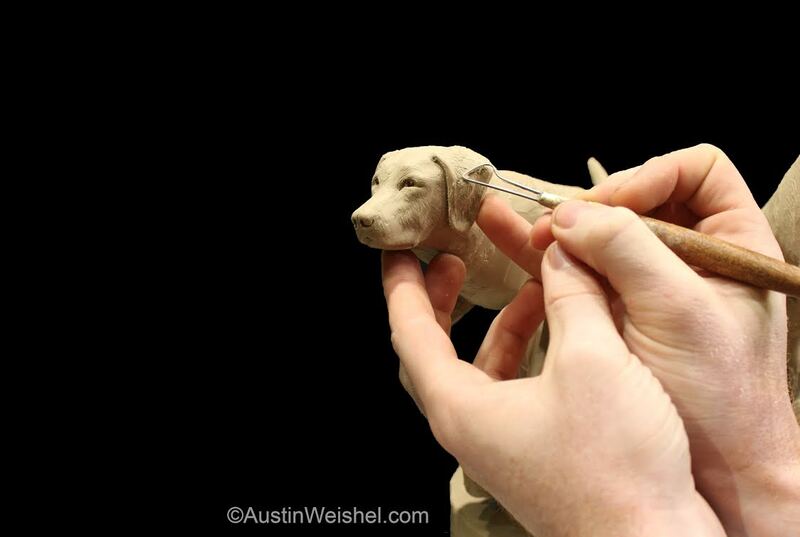 The Bronze Sculptures will sit atop a 3' high granite pedestal that will be 6'X 6'. 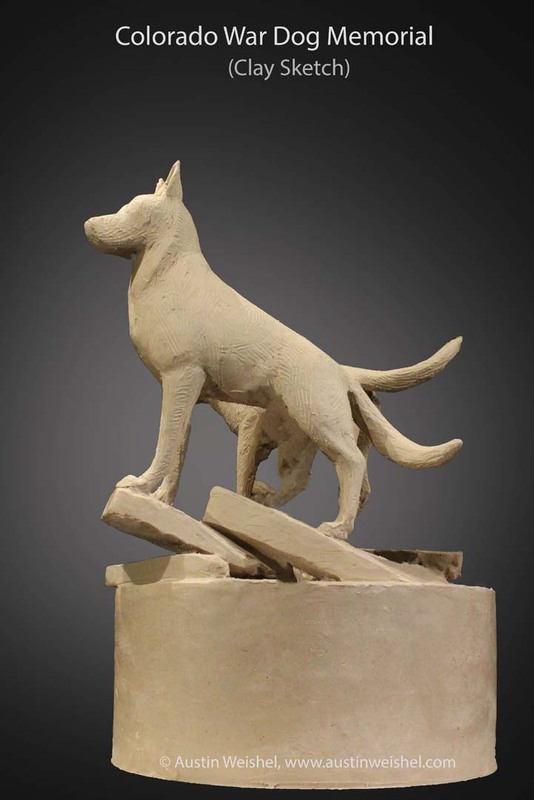 Three sides of the granite pedestal will be engraved with the history of War Dogs in WWII, Korea, Vietnam and the War on Terror. 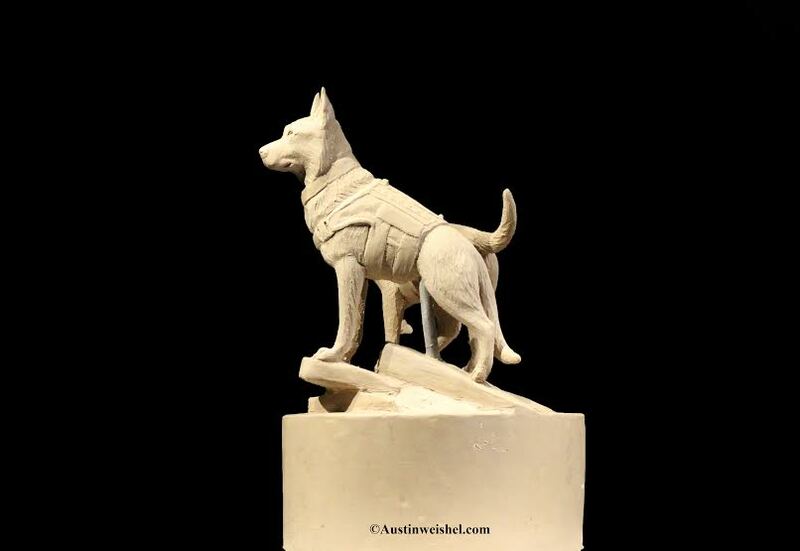 The front of the granite pedestal will be engraved with a dedication to all Military Working Dogs and Contract Working Dogs that have and continue to selflessly serve. 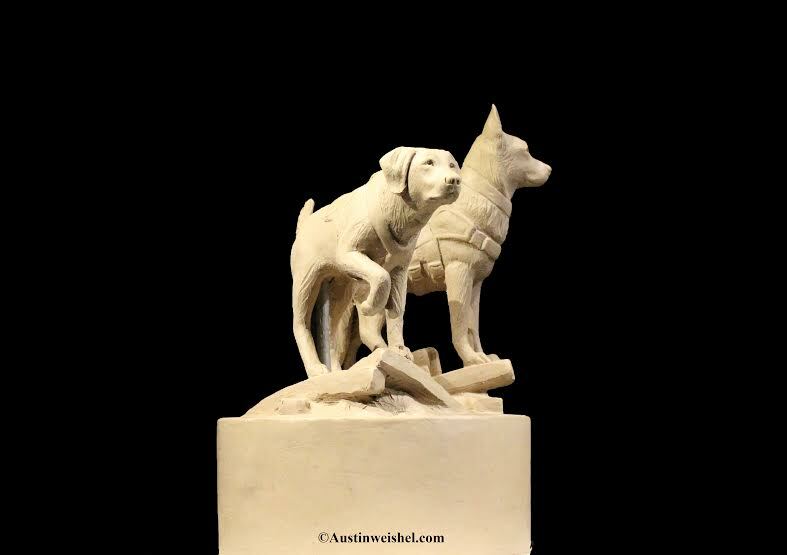 The walkway around the center pedestal will be approximately 4' wide and be stamped concrete. 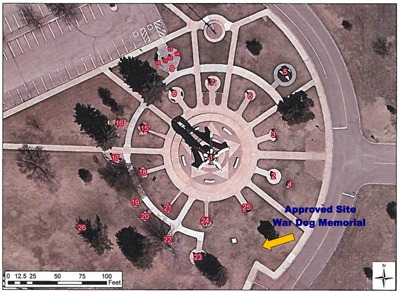 The gray laser engraved Honor Bricks will be placed in rows around the perimeter of the walkway. 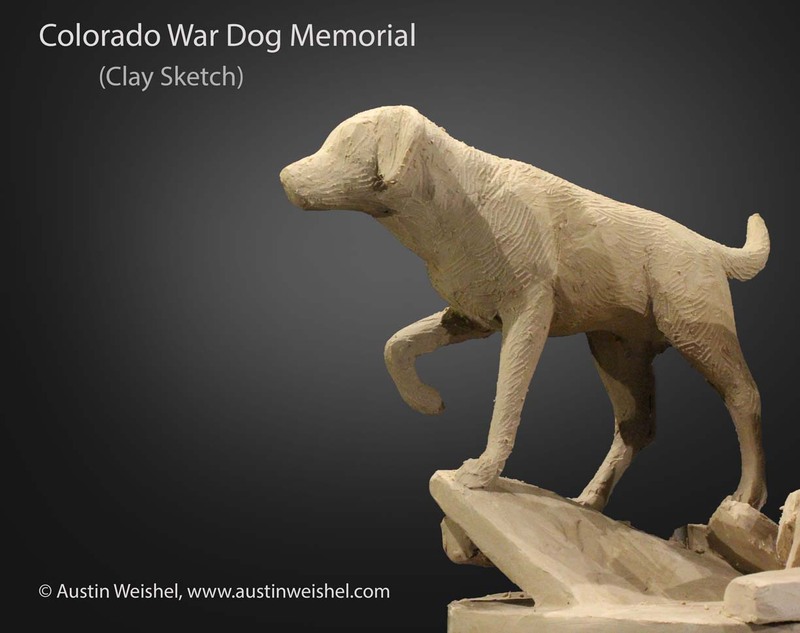 There will be two 4’ wide granite benches placed at the front entrance to the memorial. 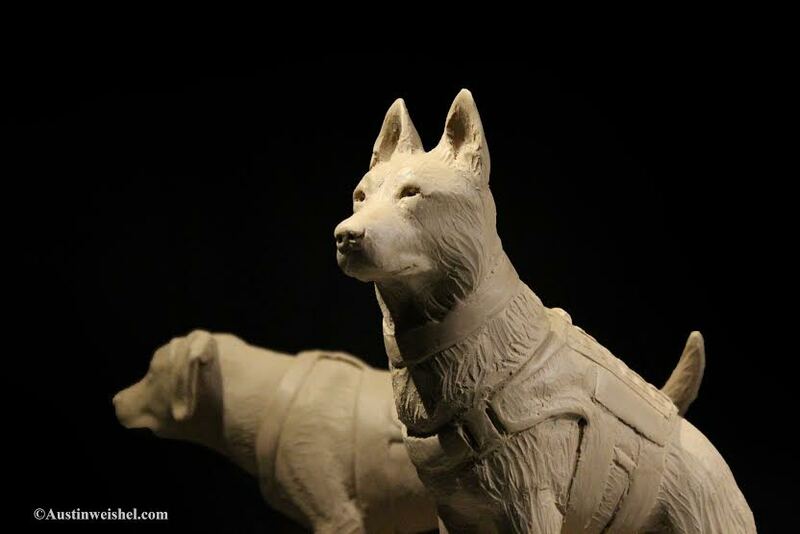 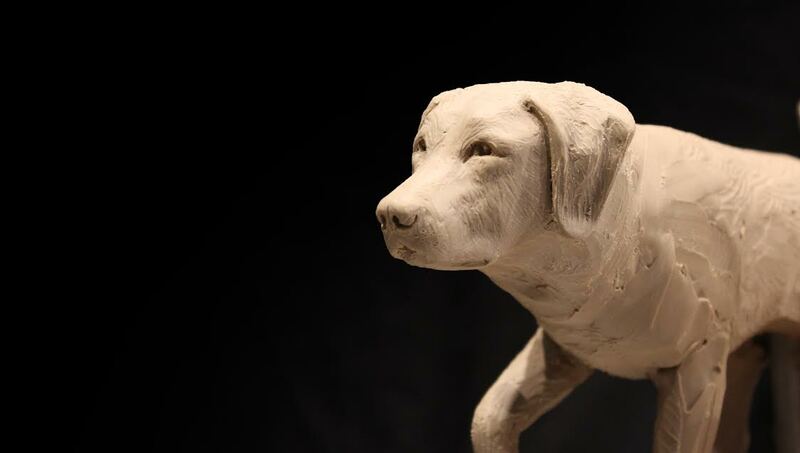 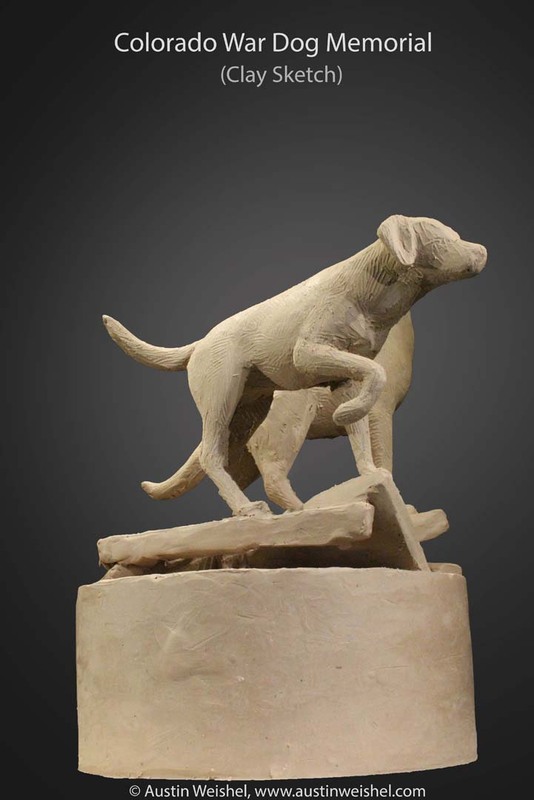 At night, the "War Dog" sculptures will be lit up as evidence that War Dogs are "Ever Vigilant". 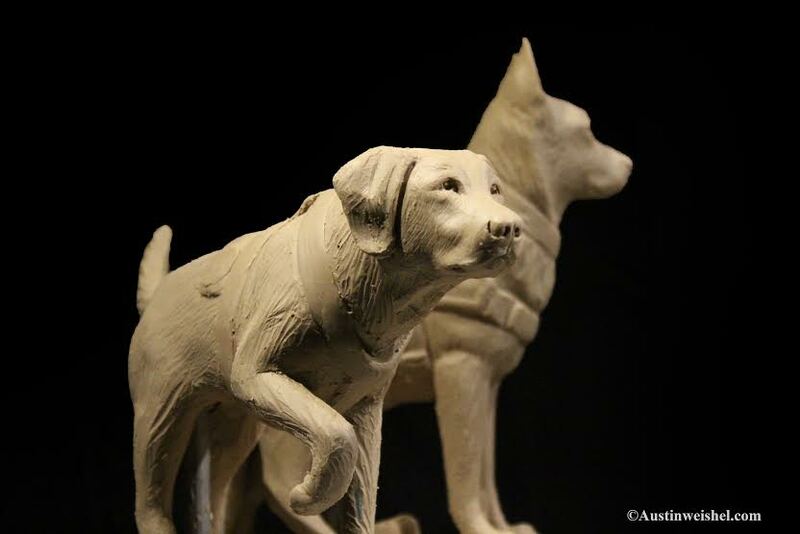 German Shepherd and Labrador Retriever will be the focal point of the memorial. An overhead view of the location approved for the War Dog Memorial in Colorado Springs, CO.